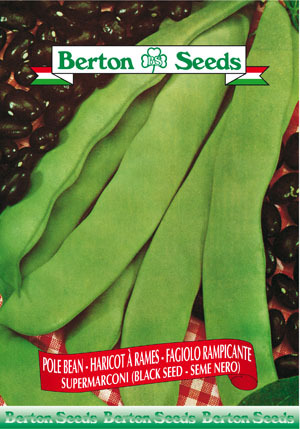 These black seeds produce green pods that are long, flat and slightly crooked. The flesh is thick and stringless. They are best harvested early as the flesh becomes tougher as beans reach lengths of over 10 inches. Sowing instructions: Plant seeds 1 inch deep from late May-June. Space seeds 2-4 inches apart. Space rows 36-48 inches apart. Harvest from July-September.